Includes your favorite channels including NFL Redzone, HBO, Starz, and more! OFFER for new residential customers who do not have Optimum services. Former Optimum accounts previously not in good standing, who have disconnected service within the past 30 days or who have disconnected service for seasonal move are not eligible. Restrictions apply. Offer not available in all areas. Offer is not transferrable. May not be combined with other offers. EQUIP & TAXES & FEES: Installation fee applies. Digital cable box, HD digital cable box or CableCARD at add’l monthly charge will be req’d for each TV. Depending on location, some or all service and equipment rates, plus certain add’l charges, are subject to state and/or local fees of 0–5.30%, an FCC user fee of 8¢, and PEG fees of 47¢–$1.35. Optimum will also assess a Sports TV surcharge of $8.97 and a Broadcast TV surcharge of $5.99. In addition, CT requires collection of taxes on certain services. All fees, equipment charges, surcharges and taxes will be added to bill and are subject to change during and after promotion period. 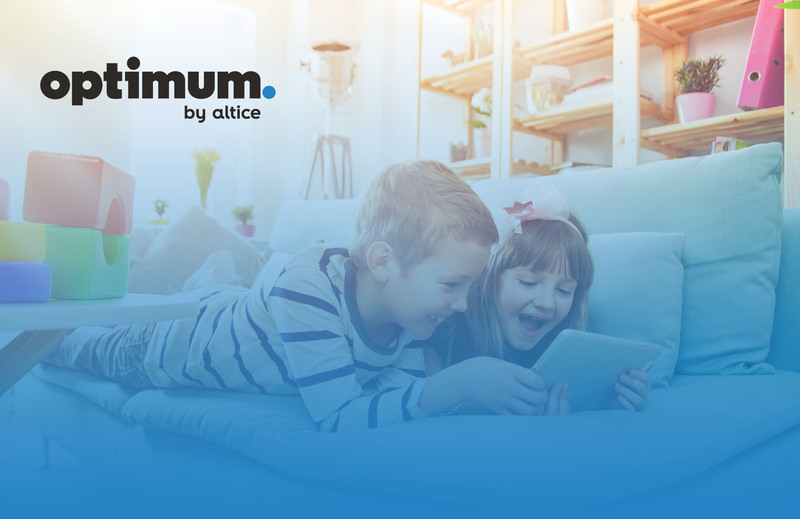 OPTIMUM TV: # of channels, HD channels and interactive features depend on pkg type and location. HDTV set owners can request an HD cable box and receive the HD programming included in pkg at no add’l charge. Some On Demand titles avail at an add’l charge. Cloud DVR Plus service, interactive services, features and certain digital channels require a digital cable box. Cloud DVR Plus: Includes the capability to rewind live TV on 1 TV. Rewind live TV functionality can be added to add’l Samsung cable boxes for an additional fee. To program recordings online, you must subscribe to Cloud DVR Plus and Optimum internet. A valid Optimum ID is needed to access the website. Other terms and conditions apply. All rights reserved. Pricing, offers and terms subject to change and discontinuance w/o notice. All services and channels may not be avail in all areas. All trademarks and service marks are the property of their respective owner. Optimum, the Optimum family of marks and Optimum logos are registered trademarks of CSC Holdings, LLC. ©2018 CSC Holdings, LLC, a subsidiary of Altice USA, Inc.